Very few of us outside Ethiopia have heard of Ankober. I include myself as I didn’t know the place even existed before I moved here. However, at the end of the 19th century, this almost forgotten village used to be one of the most important seat of power in Ethiopia. It was the capital of the Kingdom of Shoa and the home of legendary king Menelik II, the founder of modern Ethiopia. It is only recently that Ankober was rediscovered as an attractive and convenient weekend escape for people living in Addis. 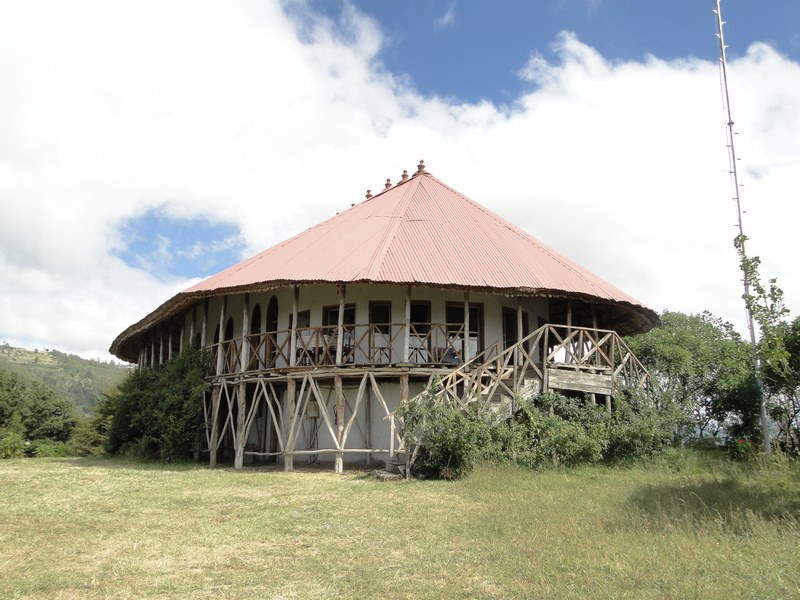 A small eco-lodge was built around Menelik’s old palace, which has been restored and transformed into a spacious dining room, while the bedrooms are scattered in small individual houses around the grounds. Perched on top of a steep hill, about 2,800 metres high on the edge of the Abyssinian high-plateaus, the lodge benefits from stunning 360° views of the Rift Valley. At the time of king Menelik II in the 1880s, the place was only accessible by horse back or mule, as recalled the French poet Rimbaud, who lived in Ethiopia for many years and took the trip from the Eastern town of Harar to Ankober to sell weapons to the King. On his arrival, Menelik had already left for Entoto (near Addis), and Rimbaud was left unecessarily exhausted. 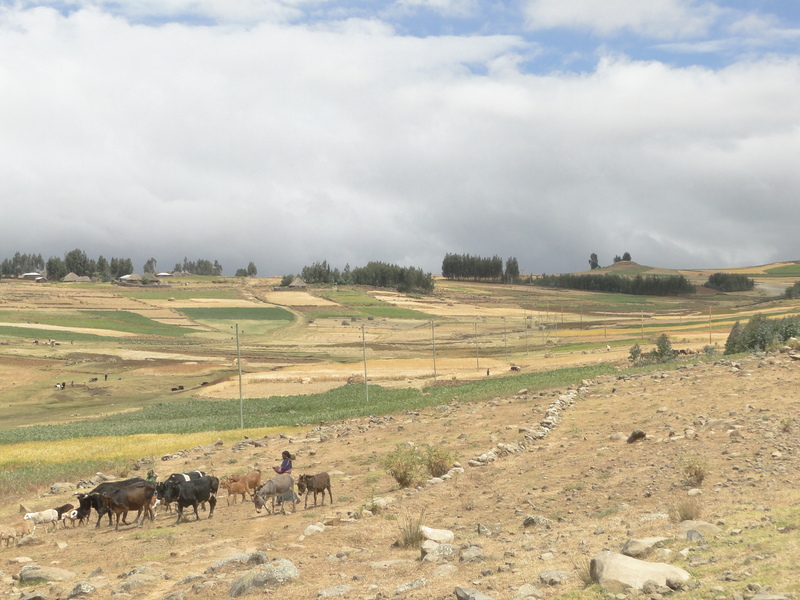 Today, Ankober is only a three and a half hour drive from Addis, but it is still a bit of a journey. The first part of it, from Addis to the town of Debre-Birhan further north, is relatively easy thanks to the wide asphalt road which the Italians built in the 1930s to connect Addis Ababa to Asmara in Eritrea. However, the remaining 40 kilometres from Debre-Birhan east to Ankober, take more than an hour on a bumpy gravel road, which is particularly hard on the tyres. Three out of the four cars who went to the lodge the same day as us ended up with a flat or damaged tyre, including ourselves. On the whole, I find travelling in Ethiopia, even for a weekend, a bit of an expedition. Beside the spare wheels, we have to bring everything with us, including medicine, a full medical kit, toiletries, spare shoes as well as snack food, as they cannot be found easily outside Addis. So just packing requires a lot of thinking and planning ahead. The spectacular scenery though makes it worthwhile. In some parts, the landscape reminded me of the high-plateau near Gran Sasso in the Abbruzzi mountains in Italy. The narrow but flat road goes through golden fields of wheat and tef surrounded by secular villages and hamlets. In many ways it feels like going back in time to an area not yet touched by modernity, except for the wooden electricity polls bringing light to the villages. Agriculture is still practised with traditional labour-intensive methods, children are looking after small herds of goat or sheep, donkeys are used to transport heavy goods and material, and people still hand-weave the material they need to make clothes as well as hand-grind the grain to prepare food. 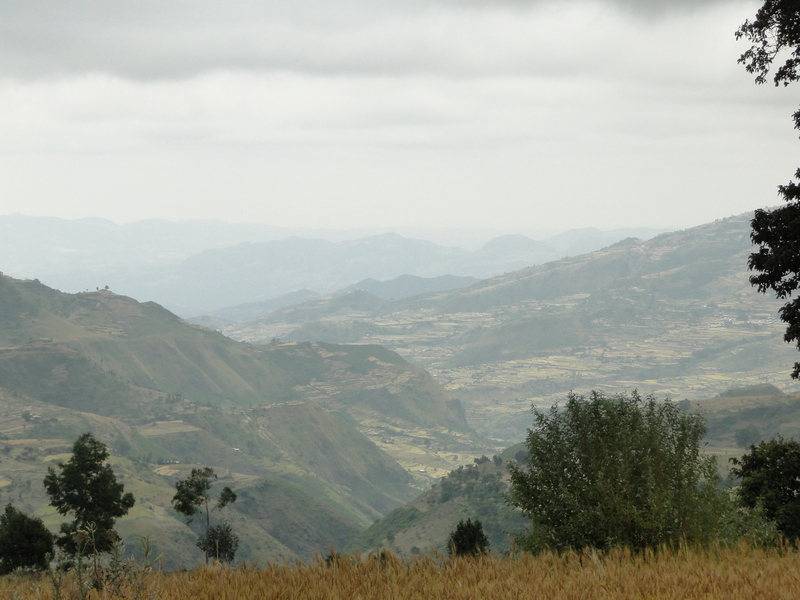 Yet compared to other dryer regions of Ethiopia, this area seems more fertile. In fact I was told that local people are able to go from one crop season to the next without food shortages. They also grow coffee and vegetables on tiny plots outside their houses, and own livestock. In my view, two or three days are enough to enjoy what Ankober has to offer. The place is very isolated, so apart from the lodge there is nowhere to go to eat or even buy food. The main attraction is to go trekking following the historical coffee caravan route which used to go down to the valley and all the way to the Red Sea, or walk around the former foreign embassies surrounding Menelik’s old palace. They too were very rudimentary, made of straw, mud and a thatched roof. After Menelik II succeeded in bringing together the southern regions and create a greater Ethiopia, he moved his capital city further south to Finfine at the foot of the Entoto hills, and named it Addis Ababa or new flower. His wife, empress Taitu, was particularly keen on the place, because of its healthy hot thermal springs. The new location was more central and more convenient, and a better place to develop the new train connection linking Ethiopia to the port of Djibouti. 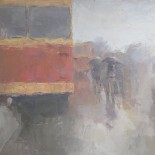 As a result of the new train line, Ankober was no longer part of the trade route and was slowly forgotten until its recent revival as a weekend retreat. This entry was posted on October 31, 2012 by Salambo in Ankober, Travelling outside Addis and tagged Abyssinian high plateau, Addis Ababa, Ankober, Ankober Palace Lodge, coffee caravan, Ethiopia, Finfinne, Menelik II; King of Shoa, RImbaud.